Battle for Moscow: Soviet soldiers of the Red Army at the monument to the heroes of the Patriotic War of 1812 in the village of Tarutino, Kaluga region. Here, near this village, the Russian army camped from September 20 to October 11, 1812 after leaving Moscow. 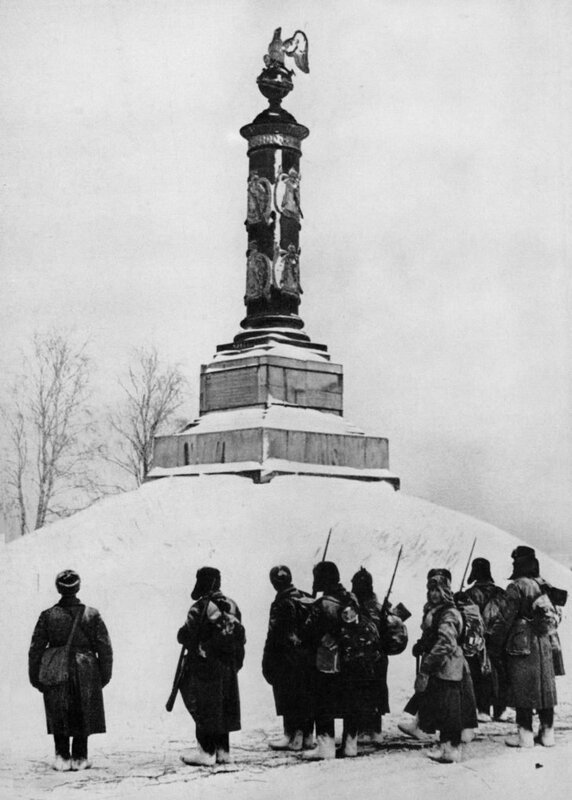 “In this place, the Russian army led by Kutuzov, strengthening, saved Russia and Europe,” reads a sign on a monument opened in 1834.